Contribute in the successful delivery of projects by providing Technical / Application guidance to project teams. The specialist should provide guidance to multiple project teams. The responsibilities entail areas such as conducting Feasibility studies, requirement analysis, designing, and development, as well as coding. Design: Develop/review the technical design. Coding: analyze and develop code as per specifications. Reviews: Conduct review of design/code/test plan and test results. Java Technologies: Java 1.5 onwards, REST, Collection, JDBC and Exception Handling, JTA, Servlet & Portlet. Platforms: Database (Oracle, MySQL), Application Server (WAS, JBoss). Software Development Methodology: Agile Methodology. Tools: Eclipse, SOAP UI, Toad, SQL Developer, Oracle TopLink Workbench, RAD, RTC (Rational Team Concert), GitHub, Jira. Informatica Power Center, SQL server skills including complex queries and Procedures(mandatory). Scheduling tool like Control-M, SSIS, IDQ, Data warehousing concepts. Minimum 3-5 years of work experience in the fields of information science, data management and/or computer science. Strong Informatica Power Center (3 Plus years) & IDQ skills with SQL server & Control M background. Besides these skills if the candidate has background on dealing with Python, handling unstructured data would be a plus. Fair knowledge of job scheduling and job monitoring on enterprise scheduling software tools like CTLM or SQL server job schedulers. Experience in working with databases especially SQL server databases. Understanding of data and systems engineering concepts to effectively integrate and analyze data to develop actionable business information deliverables. Good knowledge & practice on SQL server concepts and writing complex T-SQL queries. Must be able to do database procedure maintenance in SQL server databases. Should be capable of independently exploring solutions and the ability to learn new technologies such as cloud sources, Microsoft Azure, Informatica Cloud, Informatica DIH etc. We are looking for Oracle Database Developer who could effectively contribute to the development and deployment of Operational Risk management solution (ORAC). Primary skill for this role is Oracle Database development. Extensive experience of design and development using Oracle SQL and PLSQL Cursor Management, Pipeline Functions, Dynamic SQL, Analytical Functions etc. Understanding of ETL process & experience in design & development of ETL using Oracle PLSQL. Extensive experience of developing solutions with the deformalized data model and high data volume. Good knowledge of RAC Database Environments. Good understanding of Internals of Database. Basic Knowledge of Core Java. Must have 4+ years of experience in J2EE. In-depth knowledge in Web Services (Restful, SOAP, etc.,). Must have experience in End to End data flow between Web Services and application components. Experience in message Queues/CICS Transaction Gateway. Good understanding of System Integrations, Authorizations, and Securities. Expertise in analyzing Web Services. Experience in designing understanding documents for the Web Services. Good understanding of data flow between applications. Plot No. H5 SIPCOT IT PARK, Navallur Post, Siruseri – 603103, Kanchipuram Dt, Chennai, India. Should have a very good hands on exposure on HTML/CSS, TypeScript,Reactjs, Redux, ,Ramdajs, NPM. TypeScript, ReactJS, Redux Mandatory. A good understanding of software development best practices; agile scrum debugging/troubleshooting skills. Best market exposure, internal visibility for growth. Work on a robust, secure and architectural environment. Should have 2 5 years of project experience. Strong debugging & problem-solving skills. Hands-on experience in working on Linux/ UNIX platform. Development Team at Xoriant empowers the future with the latest technology, working across Service Delivery Life Cycle. Minimum 5+ years in programming in C/C++: Thorough knowledge of Standard Libraries, STL Containers, and Algorithms. Proven OS internals including multi-threading, RPC and Socket Programming. The software is a cross-platform application, so the experience of Windows/ Linux/ AIX/ Solaris would be desirable. Good understanding of Software Development Life Cycle and Methodology (Waterfall or Agile). Knowledge of Boost and Qt. Knowledge of Storage/ Data Protection/ Cloud Domain. Understand web application features/requirements and define test strategy, test plan, and business scenarios. Analyzing the requirements of the client. 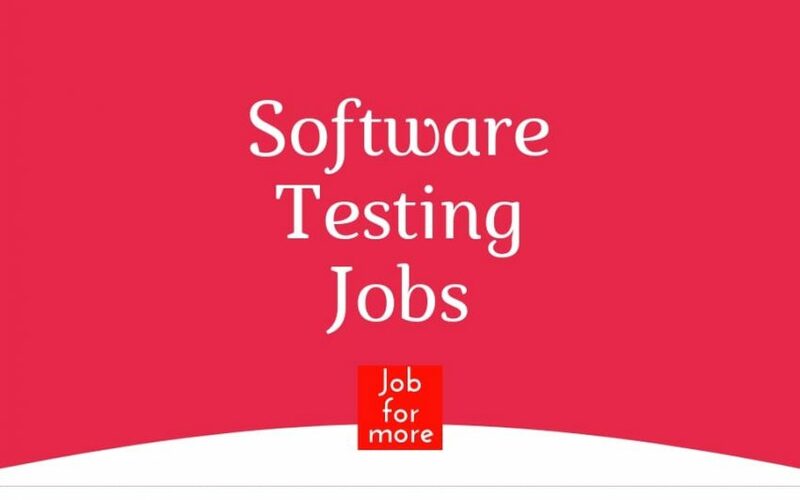 Manual Tester for our Client with the experience of 3 to 6 months. Should be able to do Manual testing in Java, PHP. Prefer immediate joiners or max 1 month notice period.